Padmini Chamund is the first Hindu Asian woman to be a Councillor in Leicester’s famous Belgrave Road area. She was born in Kenya, Africa and came to the UK in 1975 and since then has lived in Leicester. She started her first work as a machinist in the factory but was always interested in community work and helping the vulnerable. She has been a volunteer in her small organisation and also been a school Governor. In 1994, her first office job was as a receptionist and she slowly started to build up by joining in volunteer groups and charity projects. 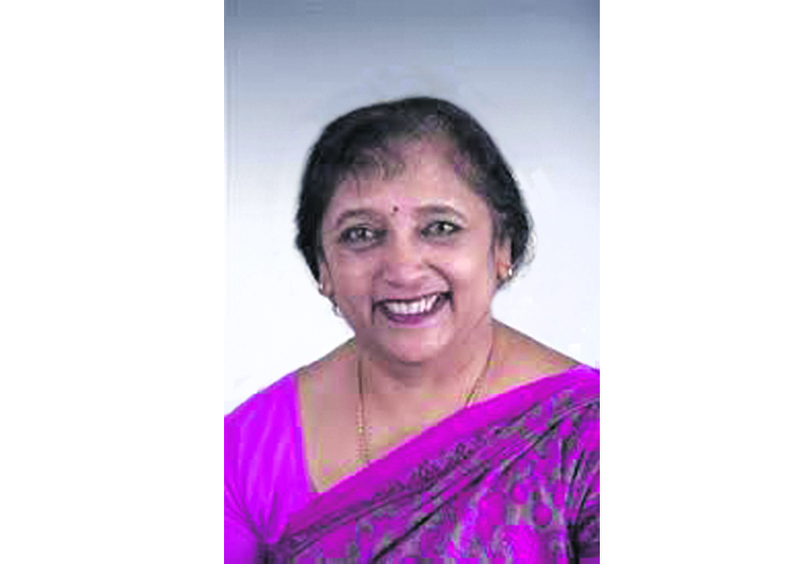 Currently, Padmini is the Secretary of Labour Party, Belgrave Branch and Vice-Chair in the charity project called Leicestershire Ethnic Elderly Advocacy Project Ltd (LEEPA LTD). She currently works as a Payroll Administrator. Padmini was always interested in helping local people and started working side by side with Councillor Mansukhlal Chohan and joined the Labour Party which got her involved in politics. Padmini won the highest number of votes in the by-election which took place in Belgrave in December 2018, which also was a record for the Labour Party in the Midlands and Leicester. 1 Which place, city or country do you most feel at home in? Leicester has always been my home. The achievements that I am proud of – a bonus, I would say – are my grandchildren, who are very proud of me becoming a councillor. I have gone from working as a machinist to become a Payroll Administrator, and now even a Councillor making history in the Midlands for the Labour Party. When I see women, especially Asian women, who lift themselves up and move on to achieve more. Being an Asian women working in a Local Authority – having to prove myself as an Asian Hindu woman. The support of my family who give me the strength to continue to be a good role model and influence them. Supporting the community and ward, and making sure I do the job and achieve a good result. The worst aspect has been the Government with its massive cuts on Local Authorities, making it impossible for them to function. This can sometimes have the effect of splitting families. 8 What are your long-term goals? I wish to continue serving my community as a councillor, and hopefully to make changes for the better. There are many policies and systems which need to be looked into. In particular, one is to introduce more help for Asian Communities to help bring them up to date. Narendra Modi as we have a similar background, having both seen poverty. I would be interested to meet him, and I am a great admirer of his speeches.